Quite ignorant of me to not know that Wand made some Bruckner recordings with the Berlin Phil. I absolutely love his Bruckner cycle with the Kolner Rundfunk-SO. Since you love these so much, I have to check them out! Please be aware though that Wand has stayed very true to himself over his entire life, which means that even the very late Berlin cycle is not extremely different to his Köln cycle 30 years earlier. We are talking nuances here in terms of style. But obviously you get the nice Berlin Phil sound. In my systematic journey through Tom Moon’s “1,000 Recordings To Hear Before you Die”, I have just reached Bruckner’s 7th. The recording highlighted by Moon is the Royal Scottish National Orchestra conducted by Tintner, and in my research I did see much reference to Wand’s recordings being highly regarded. You have inspired me to seek out the BPO recording of this uplifting composition for comparison. The Tintner cycle is surprisingly good. But Wand remains my favorite. imaginative phrasing in this domain. wilderness I discovered the forest; its length is ten thousand leagues in every direction. men will say of me, `Gilgamesh has fallen in battle with the ferocious Humbaba.'” . . . . .
forget the primordial roots of Homo Sapiens. that the Kapellmeister on the podium – and a talented one at that – is a great conductor. Morton piles up every week. any sign suggesting a conductor’s administration of inflection or point. the bi-amp’s internals.’ Whatever saves face for all. But, no. best movements taken from the three concerts, what did the worst sound like? approach this triumphant and exciting work requires. have been, so far, less than impressed. But with his Berlin 8th I was blown away. Suddenly here was an interpretation that was deeply moving and dynamic and exciting. eventually find out what all the fuss is about as I did with his Berlin 8. Once – many years ago – Wand was simply considered a good serviceable conductor. recent exaltation strikes me as more or less unwarranted, even odd. either of those two repeated hundreds of times? Count me decisively out! I see you are posting several negative reviews of the Bruckner cycle. I presume from this that you are not in agreement with my review? I would just have been interested instead of just seeing somebody elses comment to hear your own voice why you don’t like these recordings. Don’t get me wrong I have no problem with anybody disagreeing with my reviews, to the contrary, I believe there is something to be learned from this. Art reviews are by definition very subjective. So maybe you can summarize your own opinion? Be aware that Bruckner scores had a bad history of being mucked about and tarted up by his pals the Schalks, in the case of Bruckner 5 for example, the score has had cuts and worse, 11 extra brass instruments added to buck up the Finale, viz 3 trombones, 3 trumpets, 4 horns & bass tuba. Later editions eg Haas & Novak have these additions etc removed. 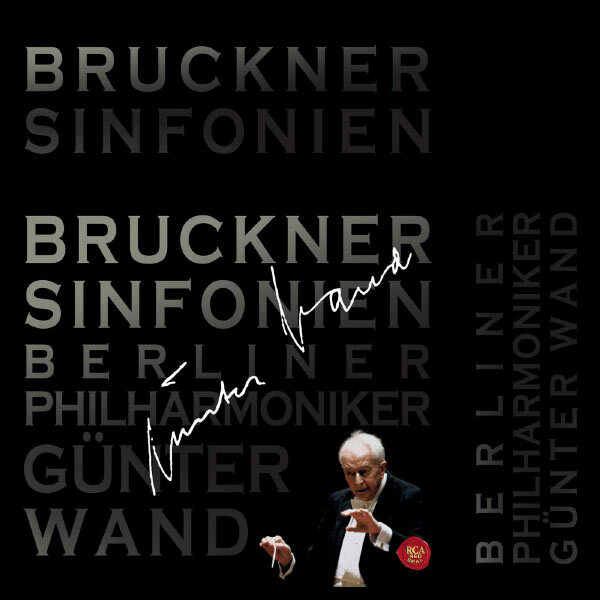 Gunter Wand hated to see Bruckner’s music mucked about like this. Agree and there are several very good recordings of the Novak editions available. Overall it doesn’t take away the charm of these recordings, at least to me. What do you think?